Kenny Kadji and Tofas are ready to make the next step in the 7DAYS EuroCup. During the 2008-09 season, Nick Calathes, Alex Tyus and Kenny Kadji were teammates at the University of Florida under coach Billy Donovan. A decade later, Nick Calathes is the star of Panathinaikos OPAP Athens in the Turkish Airlines EuroLeague, Alex Tyus a fan favorite for Maccabi FOX Tel Aviv and Kenny Kadji has finally found a steady home in Tofas Bursa and the 7DAYS EuroCup. And Tofas is arguably the biggest challenge for him. Kadji was part of Sassari’s historic 2015 run that ended with the team winning both the Italian Cup and the Italian League title and last year Kadji was one of the key members of a Tofas roster that went up against EuroLeague powerhouse Fenerbahce in the Turkish League finals. Fenerbahce won the title, but Tofas proved to everyone that it is a rising power. And after a pretty average 2017-18 season in the 7DAYS EuroCup, Kadji and Tofas are now aiming higher. And Kadji really went to work. After Tofas lost the first game of the season to ALBA Berlin, Kadji emerged as the Round 2 MVP with 27 points, 10 rebounds, three assists and a performance index rating of 34 PIR in a 96-79 win against Arka Gdynia. Tofas has a 3-5 record in Group B and remains the favorite to get the last open spot for the Top16, where, despite a bad start to the season, Tofas has the tools to turn heads. 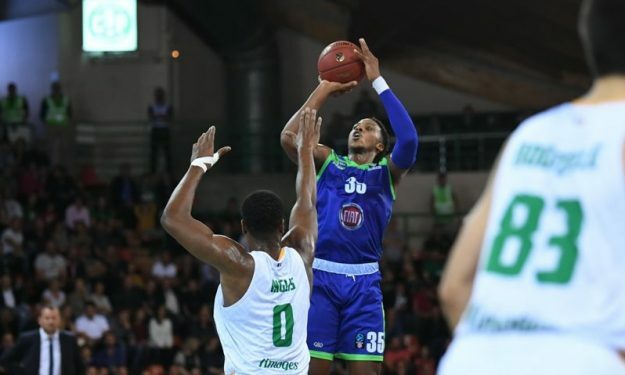 “This team has the potential to go very far in the EuroCup and to have overall a good season,” said Kadji, who is having a strong year with 15.6 points per game on 43.3% three-point shooting plus 5.4 rebound in the EuroCup. If he continues like this, then Tofas will be a problem for anyone in the next phase.